Although there are a wide variety of dermatological symptoms that your pet can show as a result of living in Madison and the surrounding areas, Dr. Charles Whitworth and the expert staff at Whitworth Animal Clinic can help you determine the underlying cause. Some pets get chronic skin infections while others may experience hair loss and skin redness. Symptoms to look for include excessive itching, redness, licking and hair loss. If a dermatological condition is suspected, you should make an appointment with Dr. Whitworth as soon as possible. He can draw upon his veterinary dermatology experience to make a proper diagnosis. Skin diseases can be caused by a variety of different factors including fungal infections or allergies. In order to promote proper healing, skin diseases or skin allergies should be addressed immediately. Some skin disorders are contagious, therefore it’s important to have Dr. Whitworth diagnose the issue as soon as possible. Treating common allergies in pets while determining the source of your pet’s allergy is of utmost importance to his or her well-being. And, the management of allergy symptoms is important as well for ensuring that your pet is happy, healthy, and comfortable. In order to diagnose the source of your pet’s allergy, Dr. Whitworth will first perform a physical exam. After the exam, your pet may need a skin scraping or other diagnostics to determine the proper treatment plan to provide healing and relief. Some of these tests can be performed in-house and there are others that may require outside laboratory services. Food allergies are also a common skin irritant in many pets, particularly dogs. Specific ingredients can trigger an allergic outbreak on your pet’s skin. A hypoallergenic food trial may be the first step in diagnosing and treating a pet with food allergies. Pets with un-diagnosed skin issues are often miserable. Dr. Whitworth, in Madison, AL, can diagnose and treat many skin allergies and dermatology diseases and conditions. 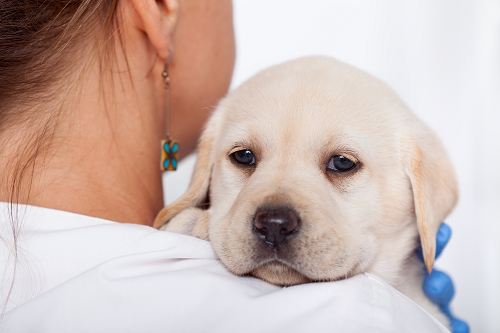 To be safe about any veterinary dermatology condition with your pet schedule an appointment today. Sometimes, a medicated shampoo or ointment may be all that is needed to relieve your pet’s skin issue. If further diagnostics are required, we can refer you to a Huntsville area dermatology specialist.